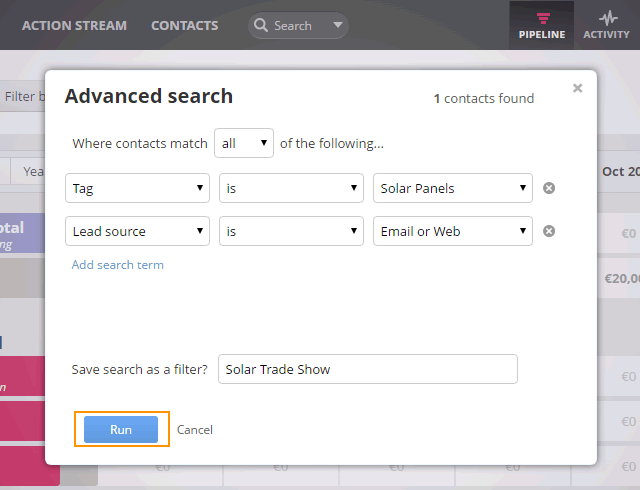 You can filter your pipeline by deal owner and by deals under different tags or specific saved filters. This can be useful if your company works with different groups of prospects or customers and you wish to segment your pipeline based on this specific group. Filtering your pipeline by saved filters is useful if you want to filter the pipeline by more than one group. Your new saved filter will be available under Filters.